For every nomination Cat's Pride Litter for Good program will donate a pound of cat litter to our organization. This is how it helps. We distribute 240-300 pounds of cat litter at every pet food pantry. Having that much litter donated to us instead of having to purchase it will allow us to use that money for spay/neuter services or emergency vet fees. Every penny we get goes to helping struggling families and animals. So please nominate us and ask your friends and family to do the same! "To improve the quality of life for pets and their guardians in under-served communities with responsible pet ownership services to reduce over-population,keeping the family pet in the home, and building dog parks to strengthen the animal-human bond." We are a 501(c)(3) non-profit animal welfare organization. We work with pet guardians to provide affordable low-cost responsible pet services such as: Spay/Neuter, Vaccinations and Micro-chipping, pet food assistance, and Trap, Neuter, and Release (TNR). We are the new face to a traditional rescue as we DO NOT accept lost,or sick animals. Our goal is to help the pet parent with services and programs to prevent displacing a family pet. 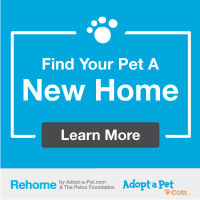 If there is no other solution for a pet we have partnered with Adopt-A-Pet & The Petco Foundation's ReHome service to assist them. The 2018 numbers are in! The Gary Pet Food Pantry assisted 81 qualified low-income families with premium dog food, cat food and cat litter. Through our Spay/Neuter Assistance Program, we were able to provide services for 216. Our Have-A-Heart Campaign is designed to address the issues of parvo and heartworms plaguing our city. We were able to provide a comprehensive package of rabies,distemper/parvo, boretella, microchip, heartworm testing & flea/tick preventative for 14 dogs this year. Fortunately they all tested negative for heartworms. This proves that our programs are working! With your help, we are looking forward to making a greater impact in 2019 to ensure that No Pet Is Left Behind. Throw us a bone Cause 4Paws Gary,INC. is now AmazonSmile, Chewy.com, Ebay for Charity and Paypal Giving Fund. If you shop on Ebay , Amazon or pay with Paypal you can add "Cause 4Paws Gary,Inc" as your favorite charity, and they will donate a portion of your purchase to us. Upon check out add us as your favorite charity and they will do the rest! Your shopping power will help fund our low cost responsible pet ownership services programs like: spay/neuter, canine education,pet nutrition, and grooming assistance services, pet food assistance,and our community dog park. It is just that simple to support our cause, add Cause 4Paws Gary, INC as your favorite charity and shop!